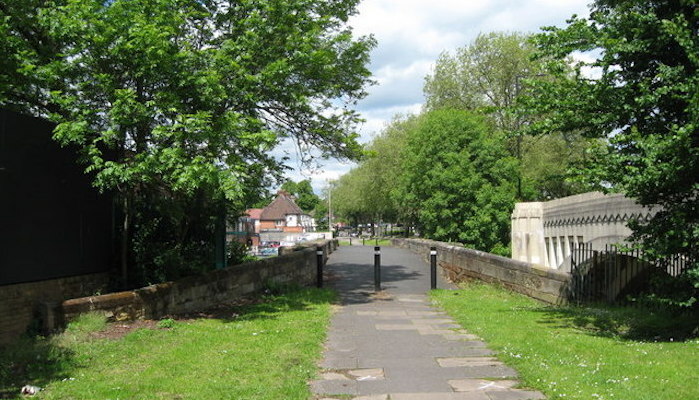 Another gem of the Parkrun craze is Perry Hall Park, a short loop around the banks of the River Tame in the northern reaches of Birmingham. This park is mostly wide, grassy swaths, but the paved footpaths running through the center of the park and out along the river make a great base for an easy approximately 5k loop. Our route approximates the Parkrun course. You can come with friends for Parkrun on Saturdays at 9am, or go anytime for a solo run. If you’d like a longer run in this region, cut northeast towards Perry Park (the adjoining but separate park, across Walsall Rd.) and hop on the Canal walk at the northern end of the park.